Headquarters: Googleplex, Mountain View, California, U.S.
Google Duo is a video chat mobile app developed by Google, available on the Android and iOS operating systems. 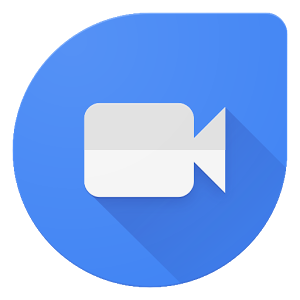 It was announced at Google's developer conference on May 18, 2016, and began its worldwide release on August 16, 2016.Google Duo lets users make video calls in high definition. It is optimized for low-bandwidth networks. End-to-end encryption is enabled by default. Duo is based on phone numbers, allowing users to call someone from their contact list. The app automatically switches between Wi-Fi and cellular networks. A "Knock Knock" feature lets users see a live preview of the caller before answering. An update in April 2017 lets users worldwide make audio-only calls.